Did you know you need to clean your oil tank? This is often a part of your heating system that is overlooked. 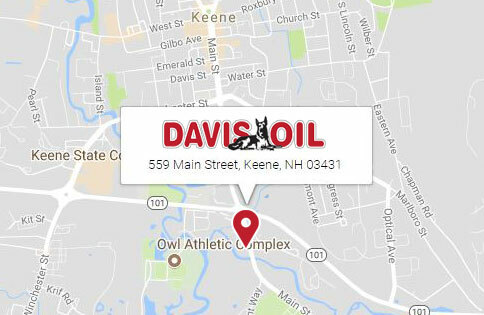 Every five years you should have Davis Oil clean the inside of your oil tank. We own and use a Hamco Tank Cleaning System. This system will vacuum the bottom layer of sediment from your tank and put it into a recycling container (usually 5-10 gallons). Once the bottom of your tank is clear of debris, we switch the pump mode over to the double filtration system that it has. We will pump the oil remaining in your tank through the filtration system 3-4 times removing any impurities left. By having us perform this service you greatly reduce the risk of fouling nozzles, filters and strainers located in your boiler/furnace. The biggest gain you will have is that you will be extending the usable life of your oil tank. By getting rid of the bottom scale, it removes the risk of corrosion to your tank bottom. Moisture and algae will no longer have a breeding ground to damage your tank. New Hampshire Law will be requiring all #2 fuel delivered to be Ultra Low Sulfur beginning July 1, 2018. The end result of this process will be a great accomplishment for the environment and the industry. However, there will be some growing pains in the transition! As this new fuel is introduced, it may stir up any impurities that the older #2 fuel has left behind causing some nuisance calls such as nozzles, filters, strainers, and fuel line fouling. By having Davis Oil clean your tank, this disruption will and can be minimized. Once this process is over with, we will enjoy a cleaner burning, more efficient fuel oil that is better for the environment. Our oil tank cleaning package. Cost for our tank cleaning package per 275-gallon oil tank is generally $295.00. 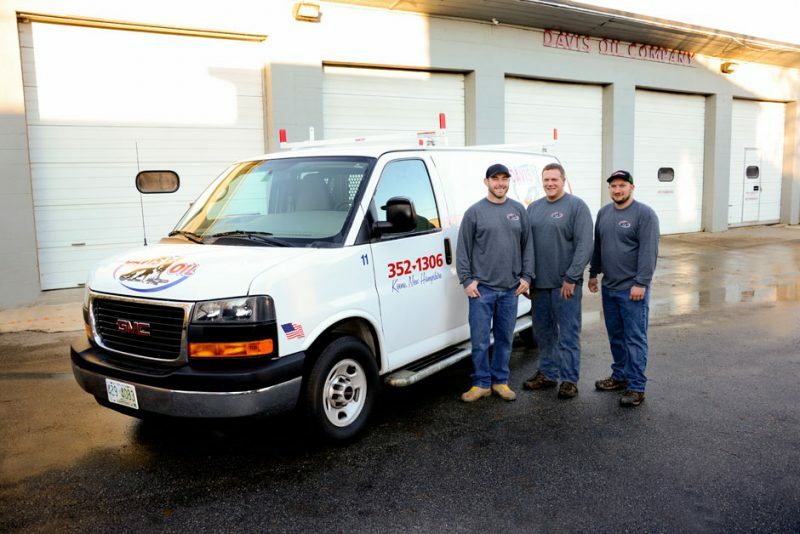 Schedule your cleaning with us today! Start the conversation about how Davis Oil can help you with your oil tank cleaning. Your people were amazing! They were efficient, professional and determined – especially getting the old tank out. It was a job well done and I appreciate the effort it took.